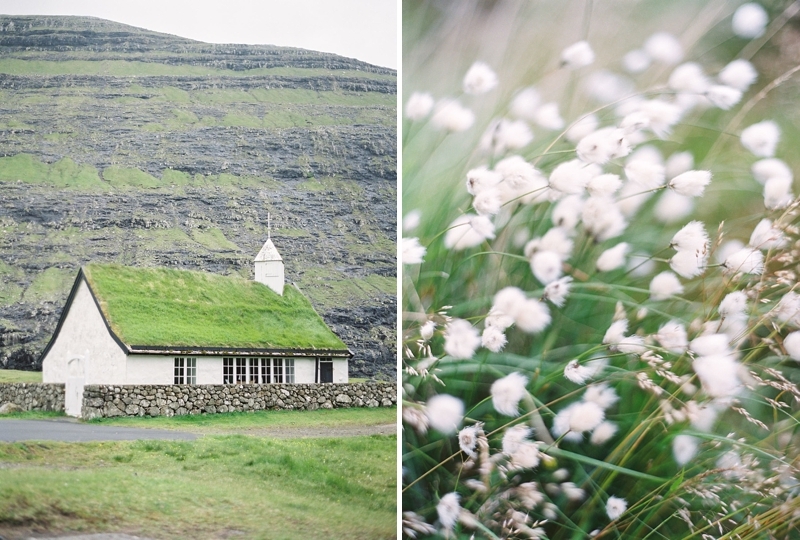 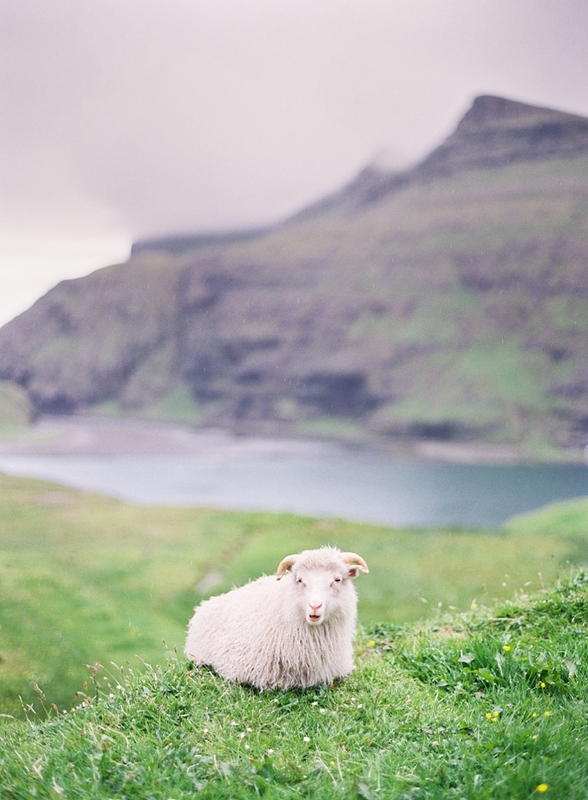 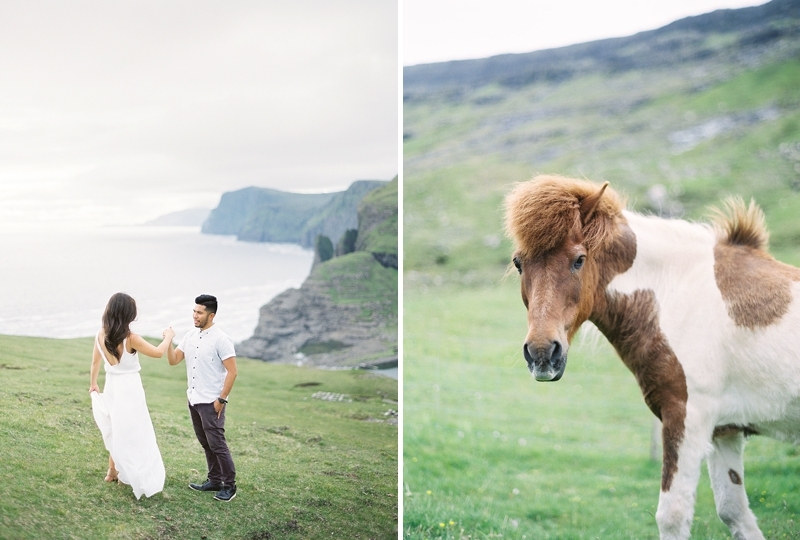 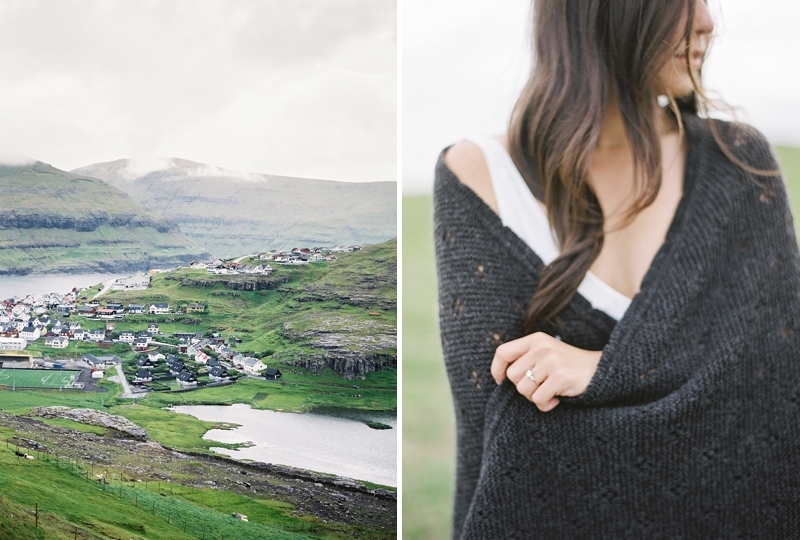 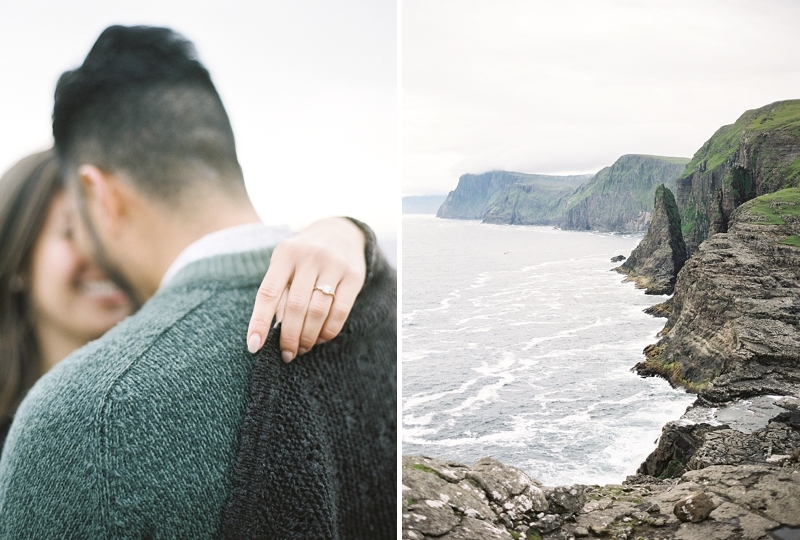 Cliffs, quiet lakes, and countryside dotted with sheep, romance in the North Atlantic was cozy in this destination anniversary. 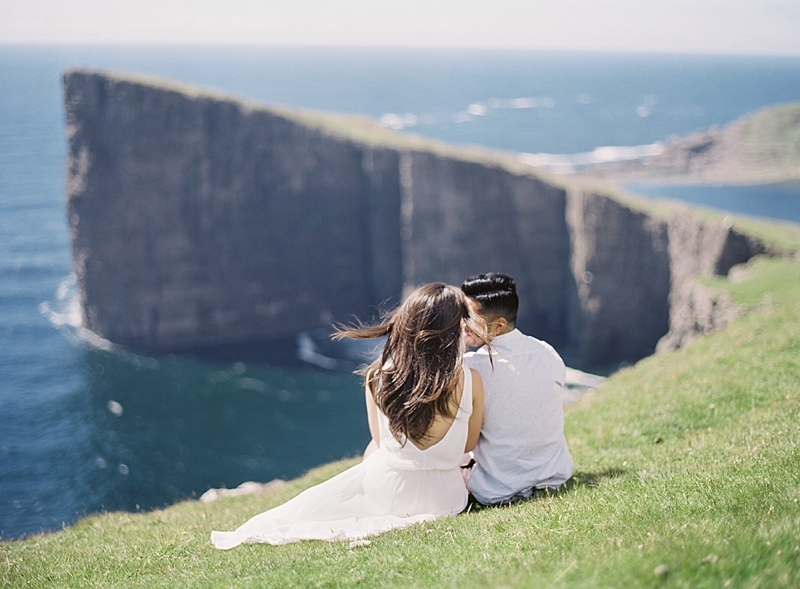 rom northwestern Scotland to the islands of Denmark, Holly and Kalani's adventure anniversary celebrated all that their relationship has been in some of the most beautiful places on Earth. 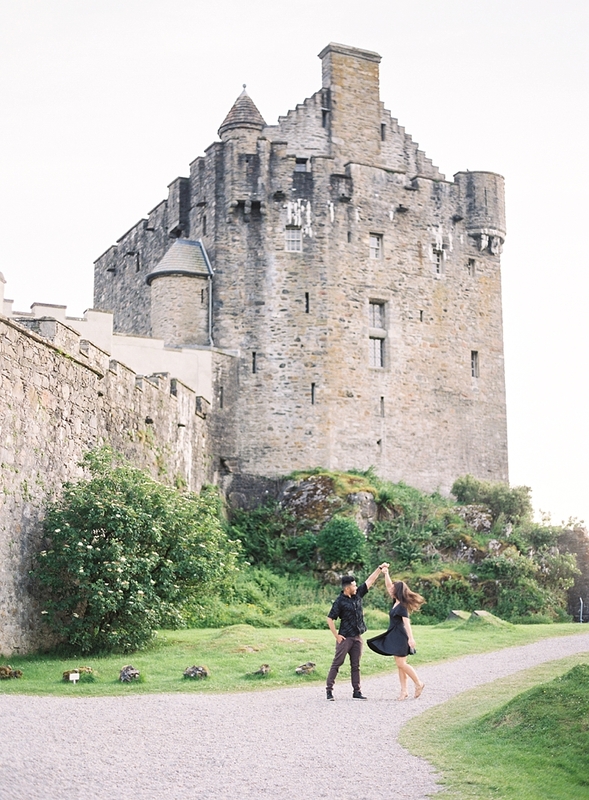 With the haunting 13th century beauty of Eilan Donan Castle in the Scottish Highlands, the sublime grandeur of the cliffsides of Faroe Islands, and the adorable cameos of sheep and ponies, there was no mistaking that this once-in-a-lifetime vacation for these two lovebirds was magical. 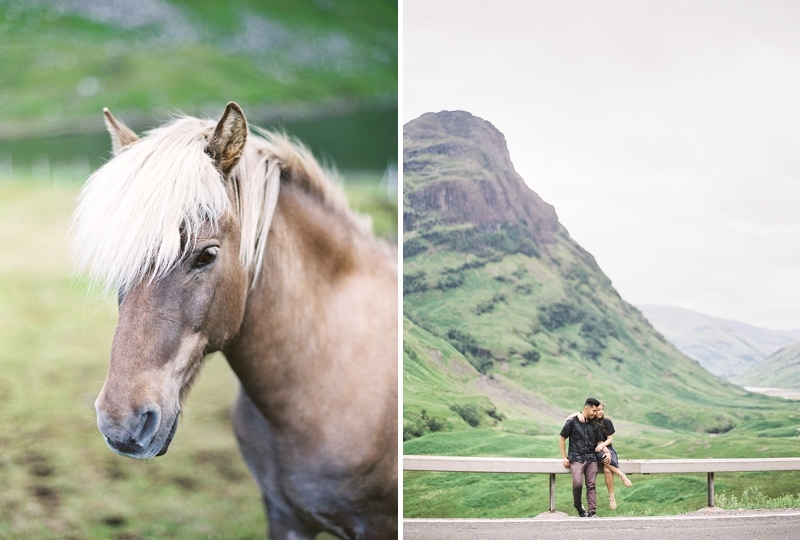 As the mercurial weather of Scotland is wont to do, it ranged from dripping skies to blazing sunshine as Holly and Kalani (with their destination photographer Christine Clark) wandered the landscape of the Scottish Highlands -- a place befitting of cinematic memories and creative inspiration. 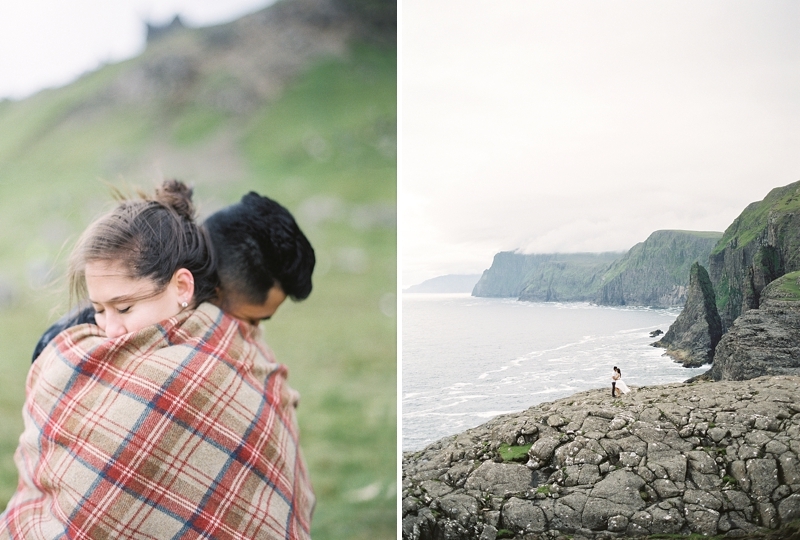 Cuddled up in wool plaid and classic black wardrobes, they enjoyed the mountains and roads that spoke of centuries gone-by. 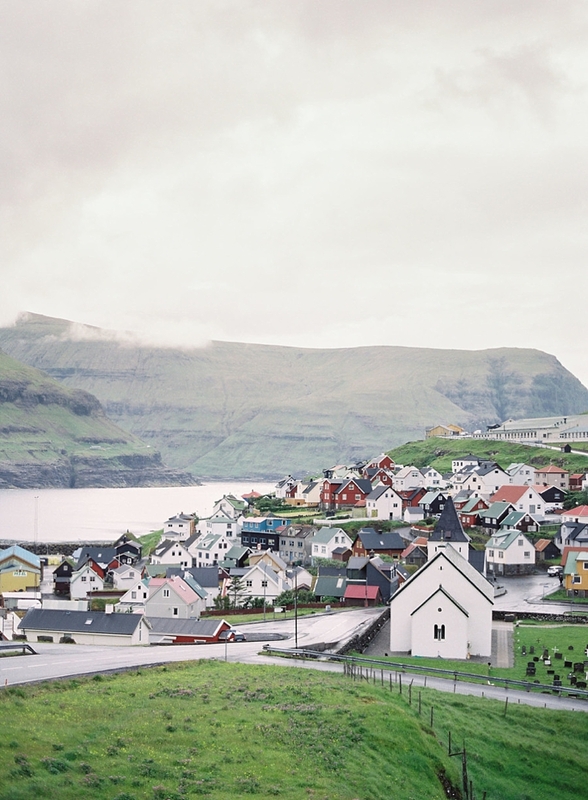 After their time in the land of kilts, the three jaunted over to Denmark to explore the Faroe Islands, a mystical realm full of lakes hanging above towering cliffs and waterfalls tumbling into the ocean. 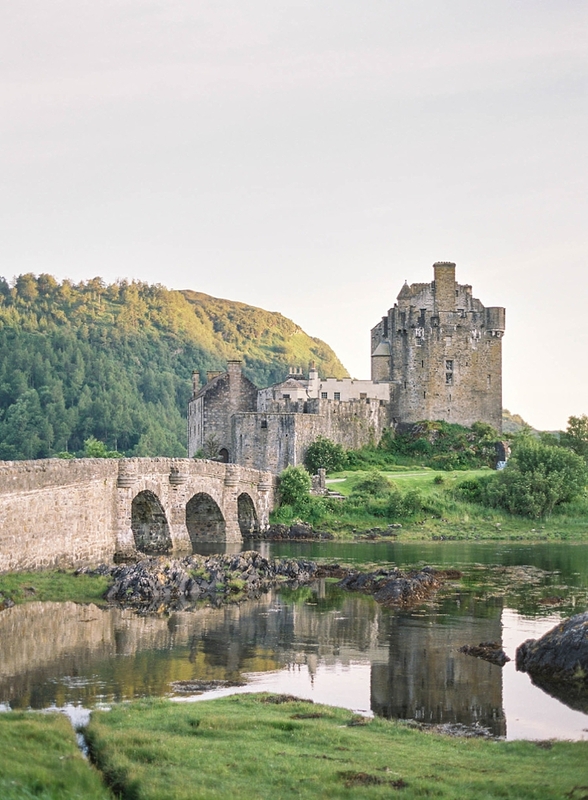 In the picturesque town of Eidi settled by Vikings in the 9th century, Holly and Kalani traded their chic black Scotland attire for a simple white that complemented the brightly painted, grassy-topped houses clustered together. 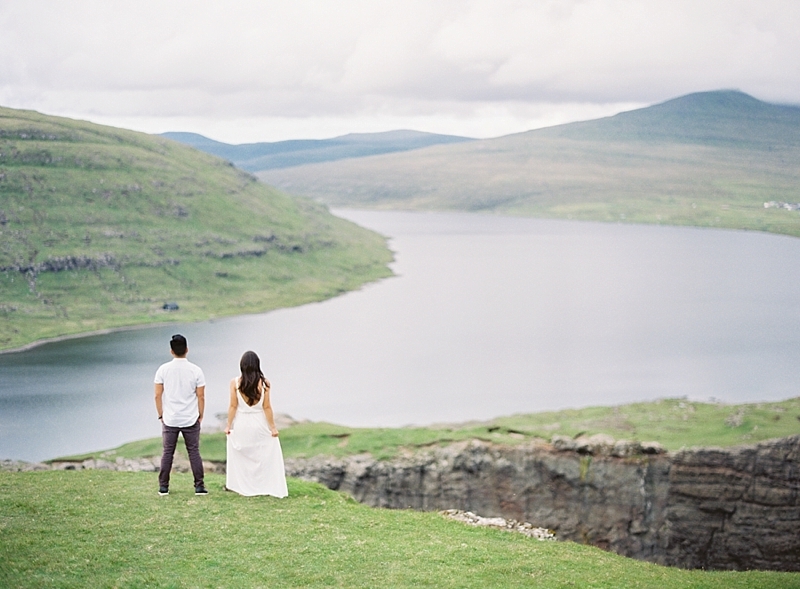 With views such as these, it was no wonder that Holly and Kalani chose this place to commemorate their life together.